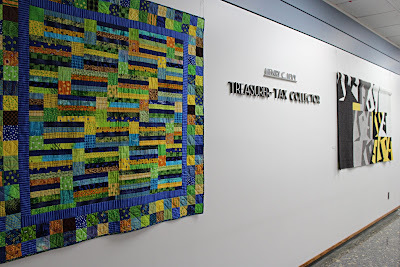 Now on display: the annual ACAC exhibit at the Alameda County Administration Building. This show was a huge success last year with the approximately 6,500 County employees and visitors to the building. This year, the exhibit runs from Oct. 29, 2018 - Feb. 21, 2019 at the Alameda County Administration Building, 1221 Oak Street, Floors 1 and 5, Oakland, CA (3 blocks from Lake Merritt BART). The show is located in well-lit, secure areas with high traffic open to the public during normal working hours, Monday-Friday. 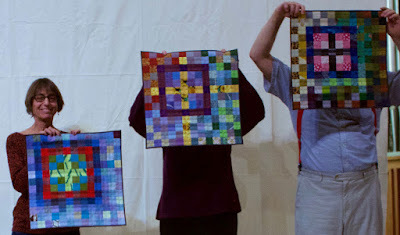 Be sure to take some time to see these wonderful quilts. If you have any questions, please contact Kathy Bowden on (925) 885-9144 or ebhqexhibits@gmail.com. Another great Show & Tell program took place in November. Take a look at the quilts made by our members in 2018 here.